Recommended for use as a post-pump filter in EFI systems. The modern fuel injected engine requires a much finer fuel filter to protect the injectors. This is made of steel. 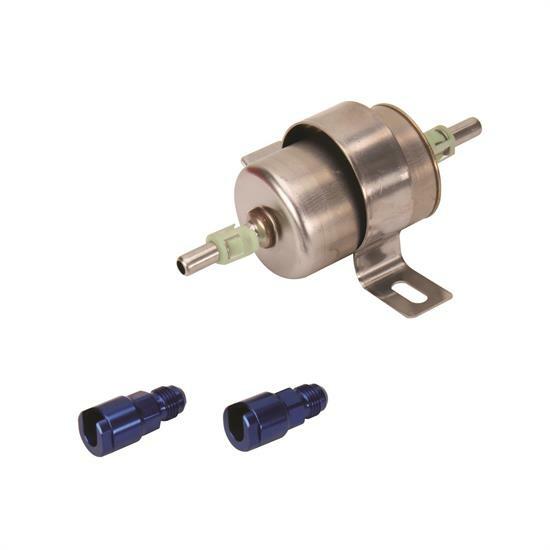 This is a 10 micron fuel filter and is rated up to 60PSI, flows up to 120 gph and is a necessity for any EFI conversion. It includes an AN 6 inlet and outlet. Mounting bracket included.